Discover a range of methods for developing meditative quiescence, or shamatha, particularly as a foundation for dzogchen practice. During this course you will explore in theory and practice a range of methods for developing meditative quiescence, or shamatha. The course begins with the practice of mindfulness of breathing as taught by the Buddha, which is an especially effective approach to soothing the body and calming the discursive mind. You will then explore an approach to shamatha that is particularly pertinent for Dzogchen practice, called “settling the mind in its natural state,” as taught by the nineteenth-century Dzogchen master Lerab Lingpa in his commentary to the Heart Essence of Vimalamitra. Finally you will engage in the practice of “shamatha without signs” as taught by Padmasambhava in his classic terma Natural Liberation, where he explains how it relates to the realization of rigpa, or pristine awareness. The achievement of shamatha is widely regarded in the Buddhist tradition as an indispensable foundation for the cultivation of contemplative insight (vipashyana), and this course is designed to provide students with a sufficient theoretical understanding and a basis in experience to enable them to proceed effectively toward this extraordinary state of mental and physical balance. In this first lesson, Alan Wallace gives an introduction to shamatha meditation and relates this to the two types of happiness—that which comes from within, and from the external world. In this lesson, Alan Wallace discusses how we can balance and quiet the mind, bringing up how to find equilibrium, the importance of our motivation, and the role of the Four Noble Truths. Alan Wallace introduces us to nineteenth-century psychologist William James, sharing his insights on the significance of attention in our lives and explaining where his theory falls short in regard to Buddhist approaches to training attention. 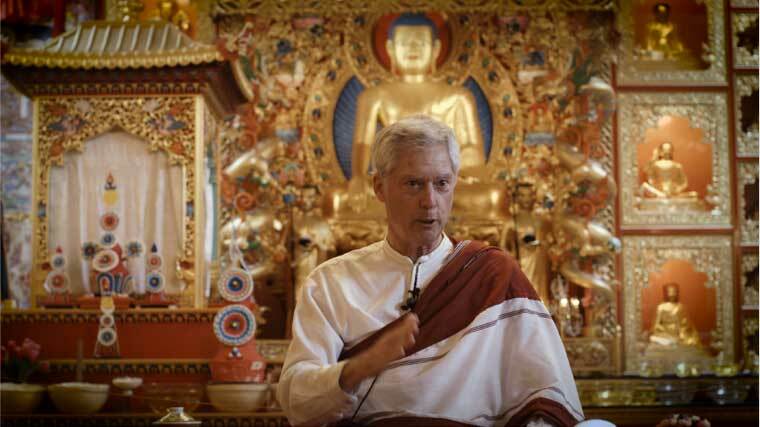 Alan Wallace discusses the practice and benefits of mindfulness of breathing, showing us its ability to help us cultivate greater freedom and drawing on the Buddha’s teachings on the practice. In this lesson we learn more about the meaning of sati, the Pali term for mindfulness, and the role of introspection and bhavanga, the mind’s radiance, in Buddhist teachings on meditation. In this lesson we learn more about the five hindrances, or obscurations, to meditation practice and their antidotes, and explore the first four of nine stages to achieving shamatha. In this lesson, Alan Wallace guides us through shamatha advice from the great nineteenth-century Dzogchen master Lerab Lingpa. Alan Wallace discusses advanced shamatha practices and the value of attentional vividness, and he further comments on advice for meditation practice from the great Dzogchen masters of the past. In this lesson we learn about shamatha from the teachings of the great eighth-century Dzogchen master Padmasambhava, and are guided through the fifth through ninth stages of shamatha practice. In the final lesson for the course, Alan Wallace shares what we can expect in the final stage of our attentional development: the achievement of shamatha.